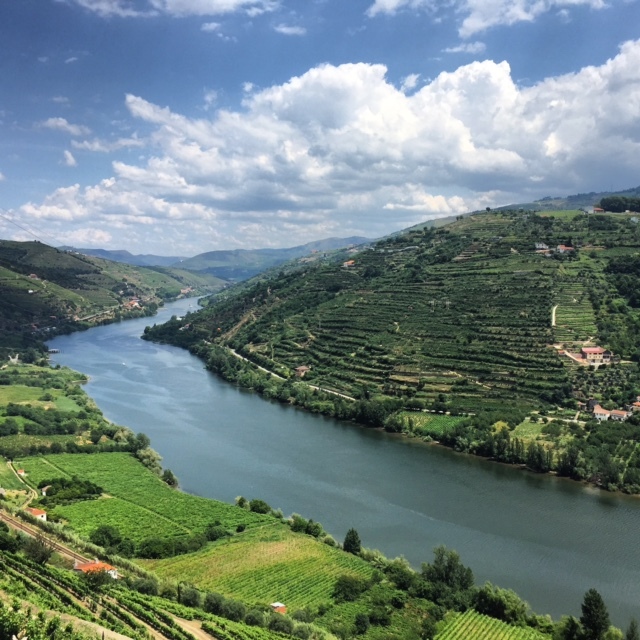 The Douro is one of the major rivers of the Iberian Peninsula flowing across Portugal to its outlet in Porto. 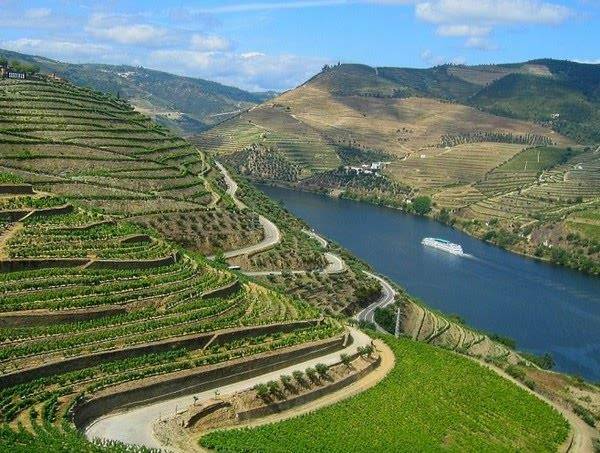 If you are in this lovely city, it is a must for you to visit the Douro Valley, an enchanted gem, land of beautiful landscape and good wine. 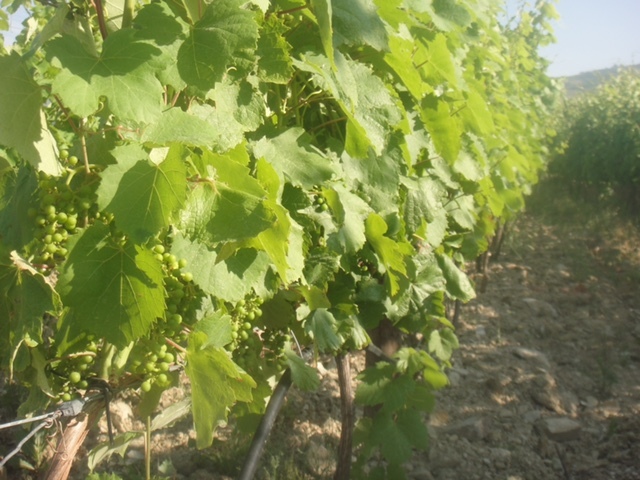 There are three main ways of exploring the Douro Valley: by road, rail or river. And your choice will depend on how much time you have to explore. You can have a glance of the area in one day, but we would suggest you to overnight in a winery (“Quinta”) if you have the time as we did. A 2 or 3-day cruise would be the best option to explore the whole region. 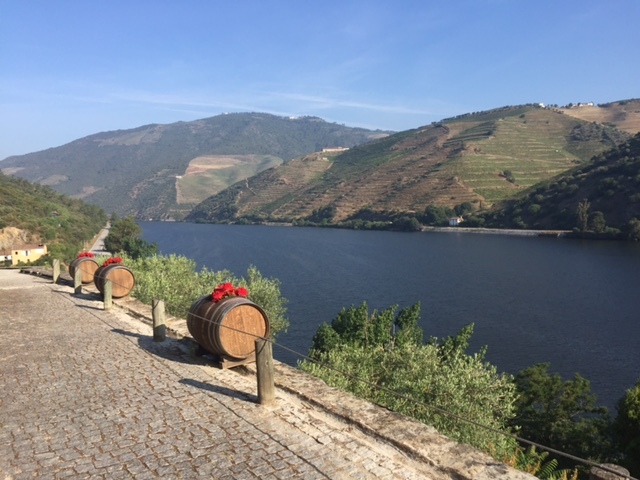 But If you only have 1 day, there are some cruise companies doing day tours to the Douro Wine Valley from Central Porto; however, these do not get to the most beautiful part, which starts at Regua. This is why a day cruise would be the last option I would recommend because you would be missing the highlight of the trip unless you take another cruise or a train ride once you get to Pinhao. I would recommend the In Douro multiday cruises but they do also provide great day trips and train combi tickets. This is a great option if you like train rides and are up for a long journey with the best view ever. 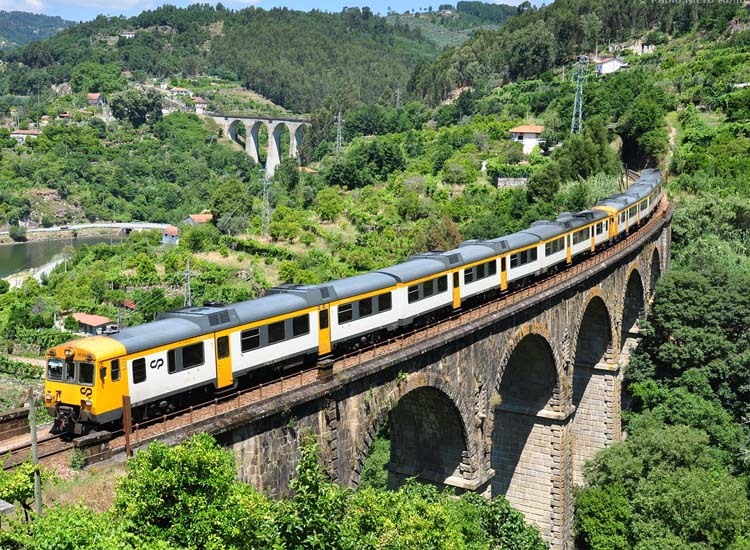 The train service Linha do Douro departs from central Porto and goes directly to Pocinho. The whole one-way trip takes a bit more than 3 hours so you should start your journey really early in the morning to be able to catch the train back to Porto if you plan to do this in a day. During the first 60 minutes, you will not see much beauty other than the countryside, but it is from Pinhao to Pocinho where you will find the most scenic section. Pinhao is a good town to get off on the way back if you want to visit some “Quintas” (wineries) and do a quick tour or have some Porto tasting. If you could overnight, even better as you could have the opportunity to visit many Quintas and enjoy the peaceful nature of the valley. That is what we did as you will see below. We did not get to Pocinho but to Pinhao as we stayed in a Quinta close to Folgosa. It took us in total a bit more than 2 hours. From Porto, we went to Amarante via A4. Short stay in Amarante and from here we took the N-101 to Mesão Frio. Nice and easy road with lovely views, but it is after this village where you would be driving the most scenic road in the N-222. This was the highlight of the trip, the views of the River with the vineyards in the valley is absolutely stunning. 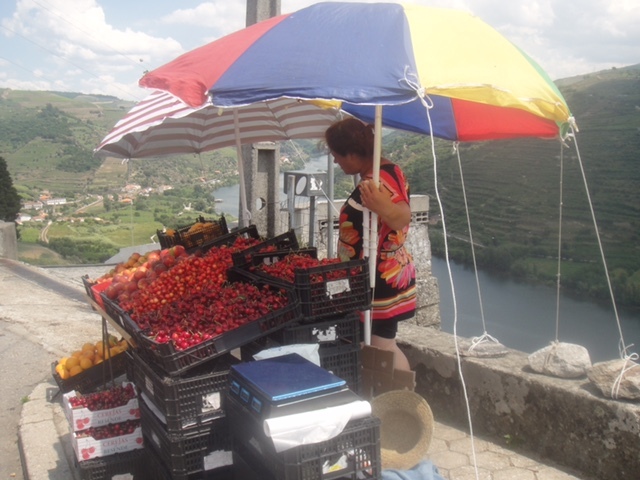 Plus you will get to taste some delicious cherries if you are lucky and the sellers are on the way. Once in Regua, cross the river and continue the scenic road next to the river to Pinhao. We arranged to overnight in one of the local wineries because we wanted to do some wine tasting, so getting back with the car was not a good idea. This was the best decision we could have made. 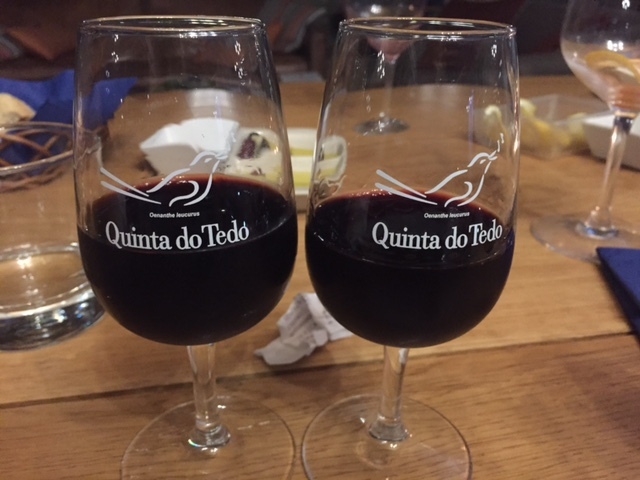 We stayed in Quinta do Tedo, a beautiful Quinta with lovely rooms and great views of the vineyards. Price was really good and we were gladly surprised by its beauty when we arrived. 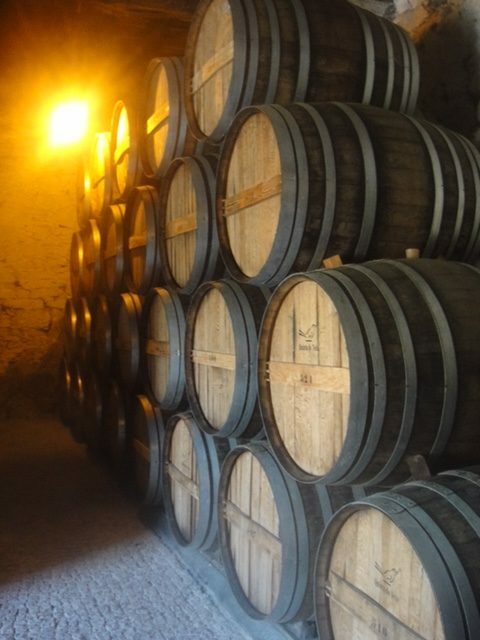 In our stay, we even had a Porto tour and tasting included! We loved their Porto and red wine that much that we shipped 6 bottles home, we could not resist. 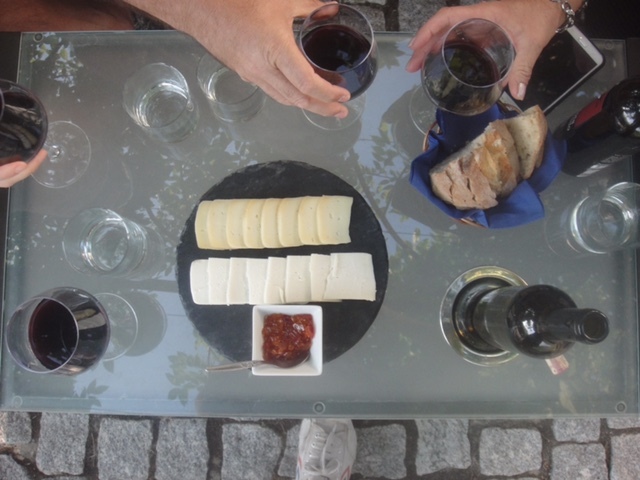 More Wine Tasting and Cheese Pairing. 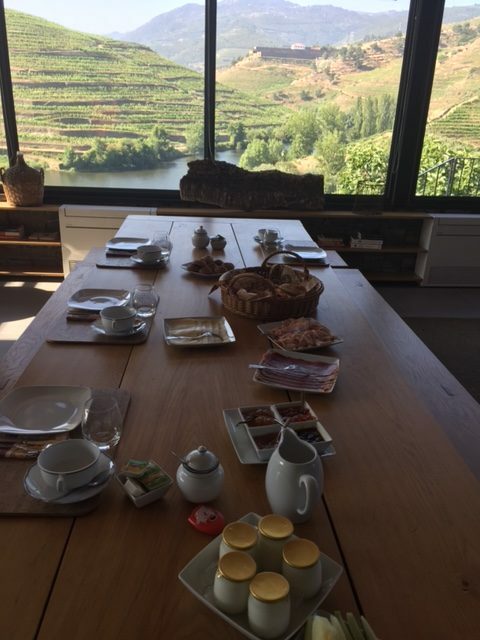 The following day we had a great breakfast overlooking the valley, did some kayak on the river and a walk around the vineyard. Our recommendation would be for you to go by train or car to the Douro and try to overnight in one of the Quintas to have a full experience. But do not be discouraged if you do not have the time, you can do the highlights in one day and try more Porto when back to the city. Cheers! A very important advice if you are driving: read carefully how to use electronic toll roads, as you will probably get fined otherwise. If you are planning to visit Lisbon and looking for a good tour there, I would recommend taking a day trip to Sintra and Cascais (Viator, Get Your Guide, Klook). Last but not least, I would strongly spending some time in Porto, as it is an incredible city. Thanks for sharing. How is the road and driving conditions from Porto to Quinta do Tedo ? do you need to book in advance accommodation at Quinta do Tedo ? Hi Alan, many thanks for your email! That is a great question, as to be honest we were a bit concerned about the road because we had rented a big car. The road is much better than expected! From Porto to Amarante is a Highway do no issues there. From Amarante to Mesao Frio, if you take the N101 it is a bit more challenging as there are some curves and in some parts a bit narrow so you need to be a bit careful, nothing major. Also, the road is paved so super easy to drive. Besides, you will get the nicest views (the second picture was taken from the panoramic point) as you go up and then down, so I would strongly suggest you take this road. 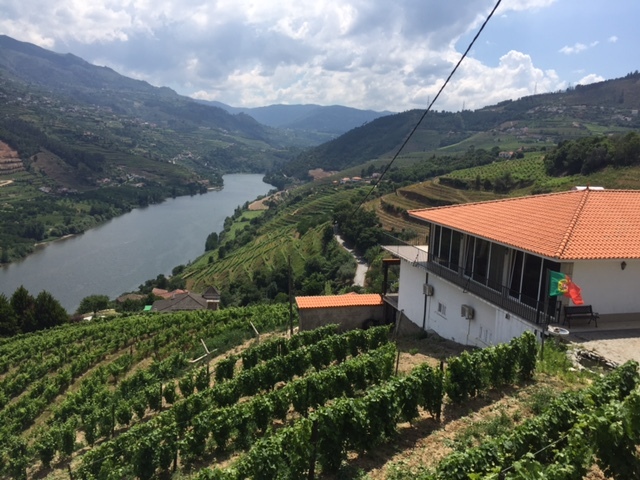 From Mesao Frio to Quinta do Tedo it is flat as you drive on the side of the river. You will just need to cross the river in Peso Da Regua as the Quinta is on the other side. Regarding the accommodation, I would suggest you book in advance as they do not have many rooms. It has a look at a boutique hotel however the prices are fairly cheap and we got a free Porto tasting and tour for being guests of the hotel! We booked through Booking.com here: https://www.booking.com/hotel/pt/quinta-do-tedo.en-gb.html?aid=944973 but you can always book directly with them! Hope this helps and let us know if you have any other question 🙂 Are you planning to travel to Porto soon?